We love pomp – grand spectacles of celebration or mourning, which give us as humans a deeper connection to a loved one and to each other. Even as we may try to lead modest lives, people throughout the world reveled in watching the wedding of Prince Charles and Lady Di, and more recently, the wedding of Prince William and Catherine Middleton. We as a nation collectively mourned the loss of our great president John Kennedy in 1963, when hundreds of thousands of people lined up in front of the White House where he lied in state, for a chance to bid a beloved leader farewell. The entire nation wept, and heads of state and royalty from the world over flew to Washington to pay their respects. The total cost of about $40 million adjusted for inflation was not even an issue, nor should it have been. It’s no surprise that no expense was spared to bid farewell to the late King Bhumibol Adulyadej, the ninth monarch of Thailand’s Chakri dynasty, who was on the throne for 70 years. We witnessed two types of grandeur during His Majesty’s funeral – the funeral itself at the Grand Palace, and the grandeur of the throngs of everyday Thai people coming out to show their devotion and admiration to a man they called “father to all Thai people.” The grand event gave all Thai people a chance to mourn, but even more than that, it gave them a chance to connect with one another, and to connect a little more deeply with their own history and culture and to show the world a glimpse of something marvelous. For the past year, thousands of artists have been preparing sculptures and works of art, and rehearsing for beautiful traditional performances. Renowned Thai poets – including my wife – devoted time and energy to crafting just the perfect words to mark the occasion. It was a chance not only to mourn a man who, for most Thai people, was the only King they had ever known, it was a chance to show the world some of the best Thai culture, artwork and traditional performance. Much of the Western press, especially the BBC, has criticized the cost of the event, which weighed in at $90 million. It may seem lavish to the uninitiated, but nothing less is expected by the Thai people, most of whom have never known life under another monarch, and consider the late king as the father of all Thai people. Why did we watch Princess Di’s wedding, which cost, adjusted for inflation, $110 million? Because it gave us hope. Because we enjoyed the spectacle, and we wished Charles and Di well, and the BBC certainly didn’t complain too much about that. The Thai people must have this traditional ritual as part of the grieving process. We do, as individuals and as citizens of our own countries, want and need these celebrations – although we are often quick to criticize other countries for doing the same thing. The state funeral of the Queen Mother (mother of Queen Elizabeth) cost £111,000 for the carriage processions alone. By all accounts, Winston Churchill’s 1965 funeral was also a grand event with over 300,000 mourners filing past his casket, covered by the Union Jack, as he lie in state and a million people gathering along the cortege route. Queen Elizabeth celebrated her Diamond Jubilee – 60 years on her throne – at incredible cost, with a flotilla of 1,000 boats and the Royal Barge on the Thames. The cost of the extra national holiday alone neared £1.2 billion. Looking at it from that perspective, the $90 million does not seem out of line. What about the PR machine? Some of the criticism in the Western press suggests that the late king was so popular only because a massive public relations machine made him so as a means of propping up the military junta. This too, is misleading. Was he popular? Yes, absolutely. Did he have a PR machine? Sure. Every head of state, every monarch, every big businessperson, and every president has one. Does the British royal family have a PR engine? Sure. Does President Trump? Oh, yeah. But the purpose of a PR machine isn’t just to say, “Look at what a great guy I am.” The purpose of it is to enhance the value of the actual work being done. Here’s an example. King Bhumibol was known to be an animal lover. At one time he adopted a stray dog, whom he named Tongdaeng. Naturally as King, he could have any purebred dog he wanted, but he adopted Tongdaeng, a beautiful mutt. The act got a lot of press, and the King himself wrote a book about it which became quite popular. Was there PR behind that? Sure. But the purpose of that PR was not to glorify the King – what happened as a result was a tremendous social good. Thailand, especially Bangkok, has a problem with too many stray dogs on the streets. People saw the King adopting Tongdaeng, and they started adopting strays themselves. They started donating money to animal shelters. It raised awareness of a social problem, and began a move towards solving it. Another common mistake on the part of the Western press is the common statement that King Bhumibol was seen as a god. To say he was revered as a god is a little misleading, and “god” in Buddhist belief has a different meaning than the Christian definition. To a Christian in the West, it’s a shocking statement and would seem to be blasphemous to say such a thing, but let’s take it in a Buddhist context. In Christianity, “god” is a single entity, separate from humanity, and something to which no human can aspire. In Buddhism, the concept of “god” is a little different, and seen as something within us all, to which we CAN aspire after many lifetimes of reincarnation. King Bhumibol may be seen, appropriately from a Buddhist context, to be a bodhisattva – not a god, but a human who has achieved near god-like perfection — because of his good works for his people, and revered as such. Not really a “god” in the Western sense of the word, but those in the foreign press often interpret it as such. The criticism of the funeral of the late King is misplaced and based on incorrect perceptions. It was a funeral befitting a beloved monarch, and a once-in-a-lifetime event that the Thai people want and need to be able to move on. 205 Comments on "A King’s funeral, and a chance to show the world the best of Thai culture"
Mr.Blacharski i thank you from the bottom of my heart. thank you for loving my Country and my King. Thank you on behalf of Thais people for share the fact to the world. Some western people raise over concern to our country from their misleading by bias press, your article is so true !! Many thanks for your honest, heartwarming writing. This is what we need to somewhat help all those misunderstood ones see the untold truth in our long-cultured nation. Thank you very much for this article. You described the great things in Thai’s heart. Money doesn’t matter and it cannot compare with all valuable things that King Bhumipol gave for Thai. If it’s cost 90 M US dollars what a problem to you?..Please ask them…This is Thailand ..We love our King as our life…No one talked about the cost..
Dear Dan, we need money in doing everything, but that is not the point. I agree with you that even in terms of economics, we got something larger than the money that we paid in this ceremony, and this does not include the abstract things that can never be evaluated in terms of economics. Thank you again for your article. I would love to say thank you to Ms. Blachasi for your undestanding of thai people, our country and also for respectation which you have to our king . You had clearly explained our thoughts. I hope this will be spreading to open eyed of some journalist and people who has narrow-minded by the truth. I would love to say thank you to Ms. Blacharski, for your undestanding of thai people, our country and also for respectation which you have to our king . You had clearly explained our thoughts. I hope this will be spreading to open eyed of some journalist and people who has narrow-minded by the truth. The state funeral for Ronald Reagan was 400 M$ at that time. And what the Americans got or be proyd with it? Thanks so much for defending for us. Your article make me cry at middle of the night. Thank you, Mr. Blacharski, I really admire your understanding and perspective. The title you chose for this article really speaks everything. I am so proud to be Thai. As we have never been colonized by any western countries, we get to keep our language, our cultures, our ceremonies. It really is a shame on many mainstream media who tried to mislead readers to leave negative comments rather than the facts that the ceremony showed our pride of independence, our pure love to our King Bhumibol, and great unity of all Thais. Thank you once again, Mr. Blacharski, for clearing up all those misunderstandings. Many thanks for your understanding and your articles. I would love to express my heartfelt gratitude for your gracious article. Many thanks Mr. Blacharski for your thoughtful and insightful understanding of our Thai nation during this most difficult time. It is disappointing and even sad to see some journalists in some countries are shallow, lacking sufficient study, research and sensitivity, arrogant and disrespecting differences. Ignorance is understatement. Your gesture and article is much appreciated. My best. Thank you. Your Explaination pleases me.Money is a kind of material valued for our lives but our the greatest beloved king is the most precious over money. Well written article as one who understands both cultures. Thanks very much, khun Dan. Misleading articles regarding of the late king rama 9 funeral should not have happened provided that the western presses realized the different of cultures and didn’t neglect of learning them. Outsiders (and Thai) should perceive this event as a great opportunity to appreciate the well cultivated Thai culture which in a life time, one may never come across again. Thailand is a country with great culture and history. ขอบคุณมากค่ะ Thank you so much for your understanding words, much appreciated indeed. Those who call themselves civilized ones should learn to respect others. I watched much of the ceremony and it was the most wonderful ceremony I have ever seen. Worth every penny. I learned so much about Thai culture. I’m glad they shared it with the rest of the world, including my little corner of the Pacific Northwest U.S.
You have put into words what many Thais feel, including myself, but couldn’t express as eloquently. Thank you. Your understanding, grasp of Thai culture, and ability appreciate a viewpoint that may be different from one’s own culture and experience is a mark of professionalism lacking in some journalists nowadays. Thank you so much for your article.it represents our all Thai hearts. Thank you very much, such a beautiful article. Thank you so much. It is exactly what I would like to say as a Thai. My gratitude to Khun Dan for your well explanation of The late King RAMA IX funeral Cecemony . You presented the World our rich Culture and Thai People’s Love&Loyal to their beloved King.Thank you Mrs.BLACHARSKI too kha. I would say yes, the cost of the event is worth every penny!! Actually our King’funeral costed 70 millions hearts of Thais. Many people did any thing they could to show their respect to the king for free! such as giving foods that they normally sell. Millions of people applied to be a volunteer for this event. Not mentioned to related people to the funeral would try they very best to make this event remembered. It was just something they could do for our King in return for what he had been done for us throughout 70 years. Thank you for your expression, it is exactly reflect how Thais feel toward our beloved King Rama IX. The King initiated almost 4000 projects and kept them running. Aiming either those project would help Thais people in various provinces able to create/sustain their livings, get access to educational, , irrigation, agriculture,….etc. per se for the betterment. I noticed that the Westerns media who have no ideas or have done poor research tend to misplace. It is consider as professional mistake. We sought their realignment to the correct context quickly in order to honor our late King Rama IX. Thank you very much Dan, to help elucidating those Media. Ours is a unique culture in which many things are different from the western “norms”. It is undoubtly difficult for those who chose to look at Thailand through the frame of their fixed mindset to understand this uniqueness without judging with their usual tools. I truely appreciate your article for it shows that there are still more people like you who make peace in the world in the process of understanding differences in and acting as connections among cultures. Lastly, even if the ceremony is to be evaluated in economic point of view, shouldn’t the world be grateful that we Thais had spent on preserving and continuing this magnificent culture, arts and crafts for the world to see? The future values of what we had done as a nation is definitely invaluable. please kindly accept a deep and sincere gratitude for your empathy, appreciation, and articulation, Mr. Blacharski. May all find their way to live in peace and harmony. Thanks to Dan Blachaski for the best described to Foreign press what we are,and the cost of funeral for the late KING which is nothing valued when compared with The KING’s work for developoing Thais people lives for along 70 years in his reign. we also show the people, even new Thai gen, for our nation culture and sculpture which is the heritage of Thailand to the world. The valuable of Thais peple mind to the KING, which is the center of all Thai, is more worthy than the coat of funeral. Thanks for really understand Thai and express to the world. As a Thai, I thank you for writing this article, which describes our culture to those who do not understand. I just hope that all critics, especially all press who should always primarily devote their time to research more on what they would write and broadcast to the public ethically and responsibly, would start by study more on King Bhumibol Adulyadej’s life and works throughout his 70 years on the throne and how much Thai people love and proud of him. They would not want to count it as one of their work. P.S. I suspect where the amount came from. Most of the structures built for the occasion will be re-appropriated for other public use, be donated to temples, or be kept as artifacts in the museum. One such event for the son of King Rama 5, Prince Siriraj, one hundred years ago, 4 structures from the crematory site were sent to be utilized as shelters for sick people. Siriraj hospital is now one of the most advanced hospitals in Thailand, as Asia. It is public hospital that produces medical researches, newly graduated doctors that makes Thailand one of the best medical destinations in Asia. King Rama 9 himself was hospitalized there. To witness five century old possession that is still living, to witness the arts and crafts of grand masters, and to preserve our rich heritage, to me, worth every penny. Thank you so much for your explanation representing everything in the hearts of Thai people. This cost is incomparable with the valuable things our beloved Kings have made for us. Dan…thank you! You seem to be one of the very few foreigners who have genuine understanding of how Thai people feel about King Bhumibol. Most do not understand that the love and reverence we have for him is because of all the toreless work he did to improve the lives of every day Thai people, especially the poor; the compassion he had for people of all religions and social economic backgrounds; his grace, humility and the fact that he was a monarch who led by example. Thai people’s respect and affection for him was never forced nor was it coerced out of fear. I somewhat understand why foreigners find it hard to comprehend. Except in Bhutan, I have yet to witness this type of genuine reverence for another monarch in the world. I thank you, Dan, for writing this piece on behalf of us Thais. Thank you so much. Hope poor foreign media will learn something they never had in their entire life. Thank you so much to having express my heart. Thank you so very much for your understanding of our country: the love we have for our King stems from the love he has for his people and all the good deeds he has done for the country. As one who also love British monachy and Britain, I sometimes can’t stop wonder about the hidden intention of BBC regading comments towards my country. Thank you so much, thanks from my heart. Thank you very much. We appreciate what you wrote on behalf of most people all over the world who respect King Bhumibol. Thank you very much for your understanding and writing this article to tell the world on behalf of Thai people. The $400 million dollar funeral costs were so high largely due to the declaration of a national day of mourning that closed down the stock market and gave federal employees the day off of work. The price of Inauguration Day and the week leading up to it could top $200 million. inflation-adjusted wedding cost was $110 million. The funeral is set to be the biggest in living memory, according to the guide, and budget of three billion Thai baht ($90 million) has been allocated for the event. Thank you so much for helping others understand Thailand and our love for our great Father King better. Heartfelt thanks for taking your precious time to write this article. Thank you very much for explaining how we feel. They had never known and touched the best that we had recieved from the 9th King. What our king has done for our country is much more than what we can even put in words. 4,447 royal projects which today are on going are still helping the Thai people and the country. Needless to talk about the costs of the royal funeral that all Thais are so willing to spend in both monetary and our voluntary time, efforts, and remarkable skills for our beloved King Bhumibol Adulyadej. Everybody who worked on this project had put their hearts and their remarkable works into this project. That’s why the world can see this grand royal funeral which was only prepared within one year. My absolute thanks to all of them. Thank you Dan for your understanding. I read it along with my tears and would like to thank you from bottom of my heart on behalf of Thai people. Thank you for understanding our culture and the meaning of “father”. “not a god, but a human who has achieved near god-like perfection” Very beautiful describe, Thank You so much.. Thank you very much from the bottom of my heart for understand us so well and to explain to the world.Greatly appreciate it. Your article is highly appreciated. Thank you for sharing the FACT of Thai people and my country. We have the culture that we are also pround of it. Million thanks for this article. I really appreciate that you help western people to understand our culture better. Beautiful article. Completely says whats in our heart and how we feel. So glad theres finally somebody who understands us. Thank you for contributing your time writing this. Thank you for understanding. I really appreciate this. I would say the total cost is way above 90 millions USD if adding all volunteers’ efforts, including artists, performers, cooks and so on. It is priceless. The royal funeral for the King Bhumibol has millions of guests. If the Thai government did not do its best, this government would be damned. Thank you so much for your kind article. It always budges me when foreigners claim the Thais to be indoctrinated by propaganda. Like you say, there exists PR machine which can be viewed as propaganda. People who revere him like God? Absolutely. But those are mostly uneducated and their lives are immensely uplifted by the King’s work. These ceremonies may lead foreigners to think we worship him as God but they are just a part of our well-established tradition. I am aware that in the beginning of his reign, military did employed propaganda to promote him. Hiwever, throughout his reign it has became clear that he cared so much about his people and his country. Thank you. Your article means so much to me. I had chance to read some of your articles and all of them are very well written. Keep up the good work! God bless you and your family. Thank you, you do understand God in Thai sense more than I do. I appreciate your understanding. Critique is rather western common sense. Many of them can quickly criticize and judge, in this case in the back of their head is “you poor country you are not deserve this sophisticates! As i m Thai and thank you from bottom of my heart for your articles to share the fact..Its hard for ppl from other country to understand our Thai ppl feeling as they are not Thai if my life gone by make our King up from death i would gave all my life..Always our beloved King….. Biased western press, what do you expect? Thank you so much krab, truly deeply thank you from botttom of my heart. Good explanation answering all the questions, especially the question about PR machine. To put the cost in perspective, the funeral was half the price of a single F35 fighter jet. Costs of maintaining an F35 over its expected lifetime is over a trillion dollars. I’ll take the funeral. Beautiful article. Thank you very much with all my heart. Thank you for your article. I hope that those who read it will with open mind will understand we Thai people and the gratefulness we feel for our King. Apart from the money we spent on this occasion, lots of Thai people put their heart and soul to make it this great too. Considering that this is our last farewell to him, we put our best effort without hoping anything in return. As some might say “ We have the best “Father””. That is still true. Thank you so much for your understanding and your writing. The criticism wouldn’t have been happened if they had concerned about respecting each other. Dan….. Million thanks for writing this thoughtful article to explain to the world. Thank you so much for your beautiful article. Thank you so much from the bottom of my heart,for your article. Thank you Mr.Dan Blacharski for writing this article. Thank you for voicing your opinion with a great understanding of all Thais and being culturally sensitive. Your article presents all facts and well & simply explain our love and gratitude toward our Late King Bhumibol Adulyadej, King Rama IX. Thank you, Mr. Blacharski, for hitting all the spots in pointing out the Thai culture, funeral customs and practices that some of the Western mainstream press and media were ignorant of or chose to ignore in their reports because of their covert political agendas against the Thai monarchy and military government. Anyone following their vicious work in this host country will clearly see the pattern. You have displayed that as an expat you wasted no time in helping create an in-depth, accurate understanding with goodwill of what really goes on in the country that you are living in. I respectfully appreciate that. Wholeheartedly agree with your correction and overwhelming tribute. Thank you so much Mr.Dan for your article. It perfectly captured the dedications we have for our kind which I hope that the western medias would not miss but they did. Thanks for your heart-warming article. Beautifully written indeed. So many thanks from most of us, I’m sure as displayed above and before me. But I’m not aure about one thing. The amount 90m Baht, does that pertain to only in BKK? Coz let me tell you, since I live in a province far away. Those of us who can, fly to Bangkok so that 9 flights a day were comepletely full a wekk before. Some of us had to drive 12 hours to pay homage. Also, on a more important note, every province built a make-shift shrine. Ponder that, 77 provinces and I’m sure cost more than 1m each. Add that. And in each province had several places depending on the size and population. Should I go on? And this, we never even thought that it was “excessive”. It was so little for someone who had given us sooo much. Gonna stop now coz I’m crying again. Pls. accept my heartfelt gratitude to your article answering and explaining to the ignorant BBC journalist. Your understanding our culture, custom and especially the love of our late King is exceptional. The journalist who criticized us Thai also has monarch in his country but far from being so loved like our late King. We love our King Rama 9th the great more than our lives and we can die for him. All his 4470 projects gave us better lives. Besides, our beloved King worked so hard with one eye during his 70 years reign. As a result, we Thai would like to offer him the best farewell as we can do it. Therefore, 90 usd cost for his Royal Funeral is not even enough to give him in return. Is there any country in this world that has millions of volunteers? Is there any country in this world that offer free food and drink over one year? I would like to tell the BBC journalist to shut up if he doesn’t know anything about our late King and Thai people. Again, I’m very much appreciated for your article to answer his questions. We prond to be Thai. We proud to be Thai. $90 million is such a sufficiency budget compared to the things that H.M. The King Bhumibol has been giving us through 70 years. Even in the point of Return in Investment view, after cremation ceremony. – How much will people come, appreciate and be pround of Thai culture. – How much will fine arts and education students and lots of organization come, study and maintain national arts and knowledges. – How much foreign tourists around the world will visit and experience this exotic work. Yes, they have to spend during their stay in Thailand. etc. I believe even 1 year opening is not long enough to the world interest to this master piece and its history. Thanks and very appreciate to your great article, Khun Dan Blacharski. Thank you from the bottom of my heart for your understanding and well written article. Great article. Please allow me to share this. It is a beautiful articale that you wrote to “teach” all those so called newscasters a lessons or two about THAI. I also saw the interview conduced by Jonnathan Head of BBC Thai. It only focussed on The Les Majeste Law. That, for me, is considered as sick and it showed that he had a prejudgment of our Monarch. I would like to thank you from the bottom of my heart. Thank you very much khrub. Thank you very much for your great article. to pay the last respect to their beloved King? This is the answer how much we love our late King Rama 9th the great. You are very welcome to my home, be my guest. Thank you for your understanding and article. We love our King.Please do more research before jumping into any conclusions. to pay their last and final respect to their beloved King? This is the answer best described how much we love our King Rama 9th the great. 90 millions usd is nothing compared to His love for us and our love for Him. It should even be 100 millions usd to pay our farewell to His hard working. Dear Khun Dan, thank you so much. I am always at a loss to see or hear that some people do not open their eyes and ears to the world around them. They are very narrow minded. Pity them that they are born as human beings. Its hard to explain to foreigners who never been living or touching our Thai culture. BBC has right to criticize as well as we are THAIS have right to love our King and this is our country’s money from many direction. In our culture, we distribute or parts to share for the funeral, even if for ordinary people. She share and care each others. Hismajesty King Bhumibol is our beloved King and Father of the Nation. So we are happy, please and feel honor to do that. So BBC, as the big media, you can make mistake in our feeling side. Its would be better if your hear us before you write. Thank you very much for your great article and your contribution. People who know and study about His Majesty King Bhumibol’s entire work life and his devotion to Thai people development will understand why we love and pay highly respect to our beloved king. His Majesty King Bhumibol’ kindness, generosity and compassion will always be renembered in all Thai’s heart. Thank you so much from bottom of my heart. Would you reply to NGC post on Oct 26 too, please. Thank you so much. My words cannot express my sincere gratitude to you and your writing. You understand Thai people’s heart well. Wishing you all the best. Wow, Khun Dan! It takes a kind understanding heart to pour out such thoughtful expressions and enlightening views of our devotion and the way we express love and gratitude to our beloved King. Thanks to your wonderful article, I am sure millions throughout the globe now know who we are and what we value, which cannot be appraised in any monetary terms. Thank you, thank you and thank you. Dear Kuhn Dan. Thank you very much for this beautifully written article which shows that you have a deep understanding of Thai & it’s culture. I do hope others news reporters read this article & take it as an example of how the news should be presented to their readers…facts & true understanding of the subject. Having said that I do understand that by focusing on the monetary value of this event may help in grabbing their readers attention. If that’s the case,what a pity. It will be our job to select & choose what to read. For those who dare to put on the price tag are clearly ones who don’t understand love! Thanks you very much from my heart. Thank you so much for your understanding and your articles. Thank you on behalf oh Thai people. No one of us talked about what we paid for our King funeral. This is nothing to compare to what the King Rama IX had done for us. It’s none of BBC BUSINESS. We Thai people love and respected our king so much. Thank you Dan. Your name will be remembered by Thais. Thanks Khun Dan for showing our love and your love to the world how much we love our King. What we had seen in our whole life was how our King did for us, for all Thai people. What he did was the greatest unconditional love and he hoped nothing from us, just wish to see Thai people happy. We have not doubt to love him back so much as well. THANKS ALOT AGAIN FOR LOVING HIM. WE LOVE YOU. CHEER!! While you don’t know how you bring the fish to be flying in the sky, how to bring any birds diving in the river so please don’t judge how important the king with his people in Thailand. We don’t know how much you pay for a person from selection to be country leader and how long that guy worked for you also how his family worked for you but in Thailand royal family members are working for us in different angle more than 800 years consecutively and their people under their care never pay them by cash as salary but we pay them love and respect. This is the last chance to pay to King Bhumibol so we paid for $9,000 as a bonus for his 70 working years which we understood that it not enough for him. Do you know on his cremation day how many people cried for him, how many people try to be a guest in his cremation in Bangkok and in all 76 provices in Thailand. There were a huge number of food shop offer free food, drink, medical items to strengers who never met. Vary people open their houses for free toilet. All these things can show how love we have and we try the best to each other as the King Bhumibol shown us for his whole life. Again this cremation is driving by the love from a single Thais people not the money since $9,000 is not too small to buy a love that we gave to King Bhumibol and his things which he did for us. Millions thank. Your deeply understanding in our culture and respectation to our beloved King, and also your knowledge make this article been very clear. Please accept my heartfelt gratitude for your sharing all facts and our culture to the world. All things we have done is incomparable with the things our King have made for all Thais. I love my kings ,Although he will pass the statute, but still teach the Thai unity. And also to the world to see the art of Thai people. Thank you very much. May God bless you to have a great day, happiness and success. Thank you very much for your kind article for all explaination and given more understanding to other people around the world. Thank you in millions and millions. Thank you very much for your understanding and to share this to the world. It’s quite hard to explain how strong relation between Thai Royal family and all Thais especially with our king. Past 70 years for the hard worked of the late King Bhumibol so this cremation it showed our strongly respect to him in return when he passed. “Wasted of money” person who said this mean he/she didn’t have experience like what we had in Thailand, give them a chance to learn more about Thai’s history they might understand more but we can’t control what they think/speak. Once again thank you for your beautiful article. Thank you so much from my heart and I really proud to be Thai and was the one of King Bhumibol’s people. Thank you very much for the explanation with facts, logic and understanding. Thank you very much Mr.Blacharski. Someone never been met before then it is no strange that they do not know that there are in real in the world. The king worked hard and sacrifice for Thai people. May be seem like fairy tales But there are real in Thailand. Theerathavaj Srithavaj It would be inappropriate to make such comment for what is actually not a culture of your origin. Somehow, people of Thailand we do live under his grace of our King Bhumipol because of his love of his land and his people. Over 70 years, His Royal Highness lived his life for us, created the job, developed the projects, change the drought land to the fruitful land, made his people live with happiness while he hadn’t stop work for the period of time. His dedication is more than angel that walked on the land. He also shares his experience to other countries that also have problems with his projects. So, can you define the word of our King to be only a man or a beloved angle. Would it matter for our rich culture to display the essential of respect to our great King, who devoted his life for sustaining the statue of mankind and set an example to teach us to be like him, and that in every aspect. His majesty works expanded throughout the world to sustain development of this earth to stop the hunger by this workable theory for more than 40-50 years (Is that UN just realized to start this by the year 2015?). Presently, his project actually being use in many country, thus, it is no longer a theory. It becomes the real practice with a successful outcome. So, to pay respect for a great man of our nation, one billion dollars would be even adequate to spent. But what was being displayed was only a minute comparatively of his graciousness. He will be in all our heart and souls as well as many others from other countries. That is a true statement that we have the culture that have long been carried on for a reason. Life without any purpose and reasoning usually becomes a senseless sarcasm or moronic. Actually, in many countries upheld a ceremony for His Majesty for his greatness with honor as we can acknowledge presently. It doesn’t require any much intellect to recognize this. On contrary, for those who didn’t born with wide vision may have closed minded and just made semi-intellectual comment on the culture difference. Believe me, I grew up in The United State and well educated, some silly comments make one appeared to be a life-long fool. I am proud to be Thai and was born under the reign of the King Bhumibol, Kingdom of Thailand. We Thai love King Bhumipol because he had worked dedicatedly and fatherly to improve the wellness of Thais and humanity. What we did to honoured him for his funeral was not enough to thank him. I did not understand why some “foreign” press published such negative, dark hearted, bias opinion? Anyway, thank you those who understand Thais and returned the truth to the world. I cannot thank you enough, Mr. Blacharski, for all of your answers to these questions often asked by cynical and skeptic people, be they Thais or foreigners. I did many translations of books and articles about the late King, and I could not tell the world enough what he did for us throughout his 70-year reign. He was, is and will be my King. You reflect of what all the Thais would like to say to the world.King Bhumibol is just not only a king, he is the spirit of the nation , he is the soul of the country and most of all he is the FATHER of all Thais.We are not brainwashed,we love him for what he did for us for more than 70 years .He will always remained in our heart. None of Thais ever concern about how much the country had to spend for the funeral of our most beloved King, but how best we could do for him, to pay back what he had done for his people and the country. The ceremony came out so beautifully was because of the pure loves from all 70 million Thais for our beloved King that maybe only this once in many of us lives’ time not because of the Three billion Thai Baht. You are right, we expected no less. Thank you for your beautiful heart and understanding of our meanings. Thank You Very Much For Understanding Thai Heart ” Love is All Around” That is The Great king of king I am proud to be Thai and was born under the reign of the King Bhumibol, Kingdom of Thailand. Thank you so much Khun Dan and family for your article. This will teach some ignorant news reporters, such as BBC, to learn the truth about our country, Thailand. It is time for them to positively learn about our country, our late great King Bhumibol, our people, our culture. We are free country and have never been colonized by England or France. Please no more negative news from BBC or mass media about our country. Thank you very much, Dan, for your great explanation to the world amd how should you advocate to those people whom called themselves as “tier 1 media”. They just put a few words to make their headline attracted but had no clue about what it really is. Thailand grows its deep roots in cultures, traditions and our love and loyal to the monarch for longer than 800 years AND most importantly is that – we still maintain them all where it has to be since then until now. Regardless of how much we spent this time, it is uncomparable with how Thais felt to the lost of our revered King Bhumibol. Thanks very much ! Some of my friends wonder why we spent much more money about the King’s Funeral . So it’s the point of view that you spreak out as my heart wants to answer that question . I can’t think of the words to tell you how appreciated I am for your well written article you’ve speaking out for us, to show the world how we feel about our Great King and our country. PS: This is my opinion to BBC – BBC needs a major overhaul in their correspondent selectives – Keep those correspondents who have a more brain, more sensible and open minded, and get rid of those deaf, dumb and blind morons. I’m grateful to you and of what you’ve written about our much beloved king. I truly appreciate your heart, soul, your understanding and love to Thai people, to Thai culture and mostly to our King. 🙏🏻🙏🏻 Buddha bless you. All the very best to you and your family. Thank you very much from one of Thai people. Thank you for showing the world who are we. Beautiful words! There will not be another like him! Blessed your heart ❤️ for taking the time to write your thoughtful and heartfelt article. You’re definitely one of the Thais. What the King (Rama 9) did for the Thai people was priceless and they could never repay him with anything. That’s why since last October 13, 2016, the Thai people did all the things toward final farewell with all their love and willingness. Including leaving the house at 1 a.m. and waiting in queue in the heat all day long just to be able to go inside the building to play respect for 4-5 minuets. Thailand has a great culture and tradition as the wold saw in the pass 12 months is an excellent example. We are in general respectfully and grateful people. We are greatful to our great king, simple as that. And again, Mr. Blacharski, thank you for understanding and defending us of our love for our King. You don splendid, thank you so much Khun Dan. Thank you so much Mr. DAN BLACHARSKI from bottom of my heart. I am writing to say THANK YOU VERY MUCH for your articles. Impressed and so clearly. Appreciated. Thank you for this piece, thank you for understanding. Your thorough undestanding of Thai culture and ways of life is impressive for it required an open mind of a person who came from a different culture to disentangle the complexity of the Thais’mentality,which in my book is a no small feat. Meanwhile, BBC myopic viewpoint on this subject not only reflects their journalistic integrity which ,by the way ,is seriously compromised but also their lack of understanding of subtlety underlining the ceremony. I am grateful for what you have done to explain the so- callled extravaganza of this event to people who may not otherwise know how much important this ceremony is for all citizens of Thailand. The US spend $200 for President Trump inauguration. He haven’t even started his term as president. His term as president could only be 8 years. Our King served his country for 70 years. Enough said. Our King ( we call … DAD ) do everythings for all Thai many long long times ago . But all thai can do for DAD only 1 time . King Bhumibhol did everything for his people. We love him, love everything that he done. He is a very great king. No one in this world can do much better than him. Thank you very much for your love of our King and our country. I am writing in response to your haphazard reports on the Royal cremation ceremony of our beloved King Bhumibhol Adulyadej the Great, the comment and perspective of which remind us of the capitalist, inconsiderate and uncivilized nature on your end. HM King Bhumibol who, among various honors, received from the UN Secretary-General Kofi Annan the Human Development Lifetime Achievement Award in 2006. HM was named the “Developer King” by Unesco; King of the Kings; the People’s King, among others. These prizes and nominations are not in the slightest fraction as compared to our deep and enduring respect, love and loyalty toward our greatest King. The way how to make our lives better is the best legacy HM has left behind, after 70 years of tireless dedication to all of us. The ceremony has been filled with outpourings of grief, not only from Thais , but also from high dignitaries from around the world. For your information, such ceremony had been even more luxurious in the early Ratanakosin period. Unfortunately, ever since being violently robbed from us tons of gold, money and even lands during the reign of King Rama 5, the ceremony has become much more “economical” and humble. In return, we have always been a free country. Had we not been robbed from our country during the unfair colonialism, we would have been the richest country in the world, particularly given the exchange rate of 1 bht= 1 pound then. At present, your trait is obviously confirmed since western countries have continued to intervene and plot unfair conspiracies in “developing countries” to the point that some of their homelands are completely destroyed. We could understand the nature of yours. Western thieves who are accustomed to stealing precious resources , ancient arts and jewelries from the eastern countries are too materialistic and greedy to comprehend our compassionate and thousands-of years civilized culture. In short, mind your own business. This is our way of wholeheartedly giving back to our God, our “Bodhisattava” which could not be calculated into currencies. *As a press, broadcasting such a lame and inaccurate information is not only unethical but is considered a CRIME!!! We demand from you an official and sincerest apology. This document has been handed personally to an Al Jazeera reporter. Thanks so much indeed for the articles. Nowadays the western mainstream media always try to make up misleading topics. This happens not only in Thai but also some countries in Asia as well. They love to weaken other countries by using media regarded as the cheap but effective weapons. Million thanks, Dan! Never expected a westerner would understand what and why we did for our GREATEST KING. Yes, $90m is a lot, but compare to what the king did for us is NOTHING. For those of you who judge us from what you hear, come and learn our history, come and get to konw us and you will understand why…. Thank you for your brillian article from the bottom of my heart. Thank you for putting what a lot of Thai people would like to speak but can not put them properly into semantically comprehensive words. Thank you for your understanding of how we feel about our revere King. The feeling that can not bee interpreted in any monetary value. You have seen through it all. Thank you very much. GOD bless you and your family. It’s different culture. If they didn’t know us, they ought not to criticize something wrong. That show their low inner. Thanks everyone to have a good wishes and understanding. You should not support those people in believing in this fairy tale, or more specifically in this nightmare. The Thai king is the reason Thailand is not a democracy. He supported and/or instigated every military fascist coup. He allowed every democratic movement to be crushed in blood by the army and other royalist fascist movement. During his reign, he became the richest monarch in the world while the gap between rich and poor became bigger and bigger. Now the rich poor disparity is the third highest in the world. 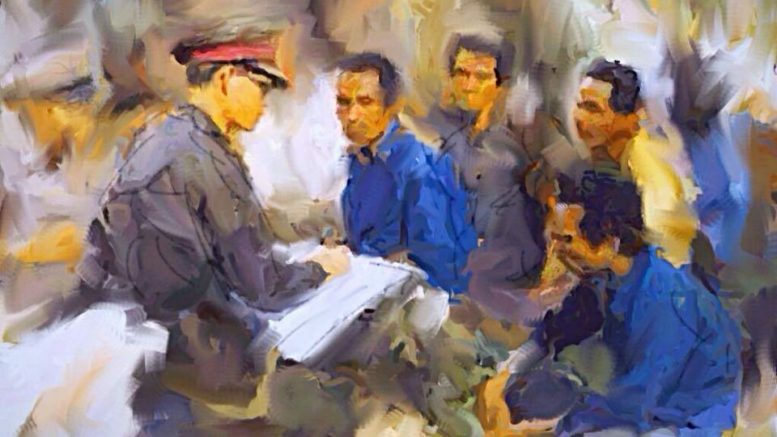 Thai royalist propaganda makes Thais believe he loved his people, but he always allowed people to be sentenced to harsh prison sentences in his name under the lése majesté (known as 112). A man is currently in prison for 6 or 8 years, for making fun of his dog. Thais have no other option than to pretend to love the king, otherwise they go to prison, or worse! Your facts are incorrect. The third-most unequal country in terms of income distribution is not Thailand. According to the CIA Factbook, Thailand’s unemployment rate in 2016 sat at a favorable 0.8 percent, and the population below the poverty line as of 2015 was 7.2 percent. CIA also reports that “Over the last few decades, Thailand has sustained strong growth and has reduced poverty substantially.” The GINI index as published by The World Bank ranks income inequality, with zero being absolute equality and 100 being the worst score. This index actually shows income inequality improving in Thailand since 1990. The GINI index for Thailand in 1990 was 45.3, and in 2013 it was 37.8, a dramatically positive move. By comparison, the United States had a GINI index of 41 in 2013, indicating that Thailand was actually slightly more equal in terms of income than the United States. Thank you so much for your explanation representing everything in every hearts of Thai people. Thank you for understanding our culture,our love and the meaning of “our father”. Please accept my heartfelt gratitude for this priceless article. No surprise for bbc-Bully But Coward den. oops! i’m no talk ’bout historic bullying, GrandTheftNa…, … am i? Having been a foreigner living in Thailand for the past 25 years I can honestly say he was a great man, leader, engineer, mentor and teacher, a truly Professional King. The world could learn a lot from what this Great King did for the people of Thailand. One of the most important legacies he left was ” he set a good example of how to live and help others”. He has also handled all of the minor and major conflicts that arose in his country during his reign and now there is now peace, prosperity and relative happiness.